When will senior directors of companies be held personally accountable for workplace killings? 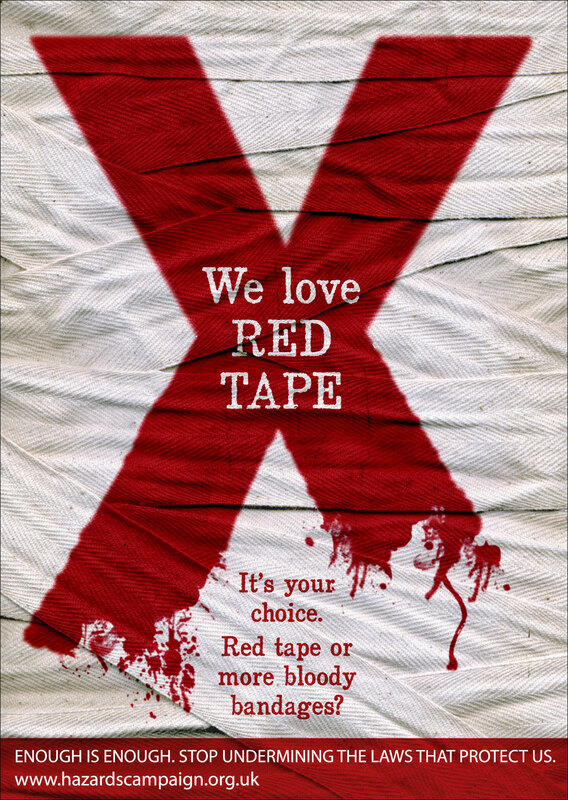 When will senior directors of companies such as Biffa Waste Services Ltd. be held personally accountable for their serial killing and putting workers health and safety at risk? Following the latest fine of £280,000.00 against Biffa Waste Services Ltd for not preventing the death of Dennis Krauesslar at its waste disposal site in Newbury in 2007, the Hazards Campaign says given the history of repeated criminality of the company (see below) and the deadly nature of their crimes – why hasn’t any senior director been called to account in the courts for causing these deaths and many other potentially lethal breaches of safety and environmental laws? • the death of Charlie Smith, run over by a mechanical shovel loader at Biffa’s Eversley Depot, Hampshire in 2006, for which they were fined £190,000.00. • the death of employee Ronald Trow who was crushed by the tailgate of a lorry at their Walsall landfill site in 2001 for which they were fined £30,000.00. • the death of eleven year old Gavin Reed who fell at Houghton Quarry landfill in October 200 for which Biffa was fined £2,000.00. Biffa was also prosecuted by the Environment Agency (EA) and fined £40,000.00 for not managing asbestos in the correct manner at their landfill in Derbyshire in 2007. Biffa was again prosecuted by the EA and fined £60,000.00 for breaching an EA permit, poor storage of containerised hazardous wastes and inadequate management of third party contractors at their Wednesbury hazardous waste installation in 2006 & 2007. 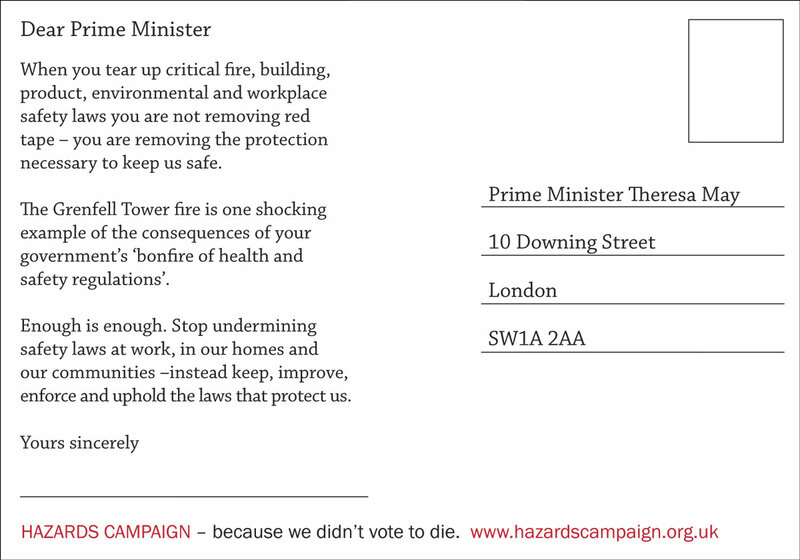 The Hazards Campaign calls upon the leaders of political parties to explain where they stand on this issue of the failure of the existing legal system to change the behaviour of a company, what they would do about it and why those individuals who ran this deadly company at the time have not been personally called to answer in court. The Hazards Campaign believes the evidence shows that directors of companies with a similar record will get away with it too, unless a positive legal duty to be responsible for the health and safety of their organisation is imposed on all directors. This does not feature in the manifesto of any of the political parties and we wonder why? While the fines mentioned above look substantial they are but are a drop in the ocean of the company’s turnover and profits and act as no real deterrent as Biffa has shown. Again and again. The Hazards Campaign says company directors and employers will not give due regard to preventing workplace death, disability, injury and ill-health until they are held personally liable and we want to know which political party will act to put a stop to this corporate crime wave.